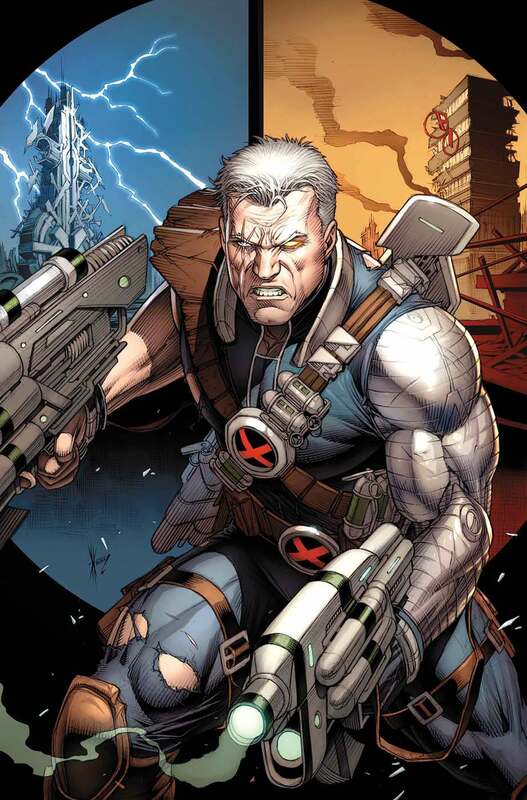 Cable is a Marvel hero primarily known for his battles with Apocalypse. He is a time traveler from a dystopian future and the son of X-Men Cyclops and Madelyn Pryor (Jean Grey's clone). Cable will appear in the film Deadpool 2 and be played by actor Josh Brolin. Why does Cable carry a Teddy Bear? A funny 4th wall breaking Tweet from Ryan Reynolds that provides another look at Josh Brolin's Cable incoming in Deadpool 2. The X-Men villain Mister Sinister was obsessed with finding a mutant capable of defeating his master Apocalypse. He theorized that a union between the X-Men Cyclops and Jean Grey would result in a powerful mutant capable of unleashing enough telepathic energy to kill Apocalypse. Sinister carefully plotted events using a clone of Jean Grey named Madelyn Pryor. When Pryor gave birth to Nathan Summers, Sinister thought he had succeeded in creating the special mutant. However, Apocalypse was warned of Nathan Summers and had him infected with the Technoorganic Virus. The X-Men managed to temporarily defeat Apocalypse but were unable to save Nathan from the virus, however the team was visited by time travelers from the Clan Askani. Clan Askani was a group devoted to the defeat of Apolcaylpse and came from the year 4935. Using future technology they promised they could save young Nathan. The clan brought the child to the future and raised him as a warrior. They also created a clone of him but this clone was stolen by Apocalypse and named Stryfe. Stryfe was designed to be the successor of Apocalypse. Stryfe has become one of the most powerful X-Men villains. After defeating Apocalypse in the future and surviving Stryfe Cable traveled back to the 20th Century. Here he learned to speak English from Moria McTaggert and met Charles Xavier. He helped design advanced security system of the X-Mansion in exchange for knowledge on the 20th Century. Cable aided his old enemy Apocalypse in defeating Onslaught and rescuing a young Franklin Richards. He then opposed and eventually killed Apocalypse in the events of the 12. 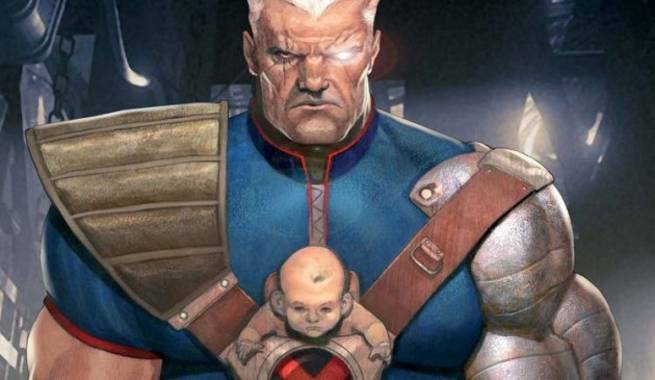 Cable learns there are 12 powerful mutants who destined to guide the world, however Apocalypse kidnaps them with the intent of harvesting their powers to make himself even more powerful. Cyclops sacrifices himself and draws in Apocalypse's essence into himself so that Cable is able to kill the nearly immortal villain but at the cost of his own father's life. Jean Grey manages to move the Apocalypse out of Cyclops and Cable finishes him off. After this path crossed with the mutant Deadpool. The pair became interwined by a plot of the One World Church to turn the world into blue skinned aliens in way to promote peace. The two form a bizarre and unlikely friendship. During the events of the One World Church the DNA of Cable and Deadpool is mixed giving them both the ability to teleport with on restraint. When one teleports the other is brought along for the ride. This ability thus bring Deadpool and Cable together as grudging partners. Cable at one point create a war against himself and the rest of the world in the hope that it would unite the world and reveal its full potential. Cable sacrifices himself in order to destroy the powerful Skornn. His energies are collected across dimensions by Deadpool and reunited by Scarlet Witch which brings him back to life. Can gain knowledge of how things are built and work, very quickly by using his mind to take it apart. Can lift vast weights and create force shields around himself and others. His force fields are thought to be strong enough to protect him from a direct nuclear strike. Can be used to augment his physical strikes. As a result of the Technoorganic virus much of Cable's body has been turned into a cyborg. His cyborg parts have enhanced strength and can be repaired. This also helps him have superhuman durability and endurance. He also cyborgnetic mental functions that allow him to calculate things using a future super computer. He has advanced education and intelligence due in part to advanced future education. Due to his affliction with the Technoorganic virus much of Cable's powers are forced to be used toward stopping the virus from taking over the rest of his body. Due to this his overall power is greatly reduced. Cable will appear in Deadpool 2 and be played by Josh Brolin. Brolin also plays Thanos in the MCU. As the Fox universe and the MCU universe are seperate he can effectively play 2 different Marvel characters. 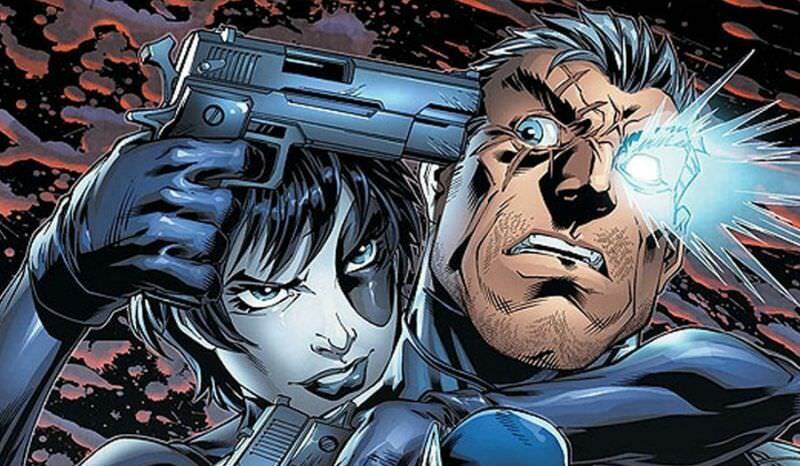 Josh Brolin signed a 4 picture deal that will include Deadpool and X-Force. Josh Brolin has been spotted lifting in the gym getting ripped for the role. First picture of Brolin as Cable has been released. I generally like it. I may wished for a little more metal on his face but generally this still looks good. I also see that his finger is metal so I assume he is still going to look like a cyborg when we see his full body. My big worry from a visual perspective is that they take away his machine parts and just leave him as a guy with a big gun and a glowing eye. I really think the machine parts are part of Cable's back story and need to be there in a significant way.